Breath = Life! How powerful is God’s breath in us? God’s breath, God’s life pulsates constantly in us and every part of us and creation. How many breaths do we take in a minute? An hour? Do we give thanks and are we really aware that our next action depends on God’s breath in us? Is the melody we play one of affirmation, comfort, or gratitude? What’s our proof of God’s life in us? What’s our Cosmic song? As we experience these dog days of summer is there any better time of the year to get away and retreat into a place and space of our own choosing? The sun shines brightly, the summer rains tend to be gentle, and the evening skies are aglow. For many of us there is a need to seek permission to get away from the business of life whether it is our places of ministry, family commitments, or just the clutter of our own minds. 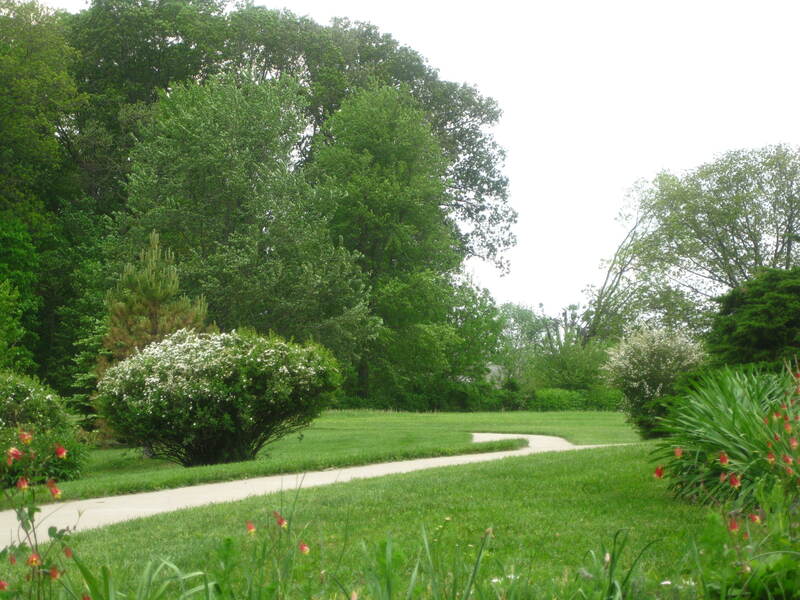 In today’s Gospel after hearing how the apostles had spent their day, Jesus offers the permission we seek by offering the following invitiation, “Come by yourselves to an out-of-the-way place and rest a little.” This time of retreat in our own lives can be as short as a few minutes or as long as a week. When we are able to close our minds to the world around us and open them to the Spirit and voice of God we are providing ourselves and others with the opportunity to be refreshed and renewed so our journey does not become burdensome, fruitless, or mundane. When was the last time I stepped away from the fast pace of life and spent some intentional time with God? From whom or from what do I need some retreat time? Gracious and loving God, thank you for giving me permission to retreat and rest. May this invitation come to fruition so that I may be refreshed and renewed in your loving Spirit! I ask this in Jesus’ name. Amen. When she was a child, my friend, Lois, had a much-hated chore; on Saturdays, she had to pull all the weeds from the shallow ditch at the edge of their property. Most of the “weeds” were Queen’s Anne’s Lace. You can imagine why, as an adult, she was horrified to see the tables in the dining room of a friend’s home decorated with vases of roses and Queen Anne’s Lace. She asked about the “weeds”, and was told that their family treasured the flower because of the intricate beauty of its makeup. 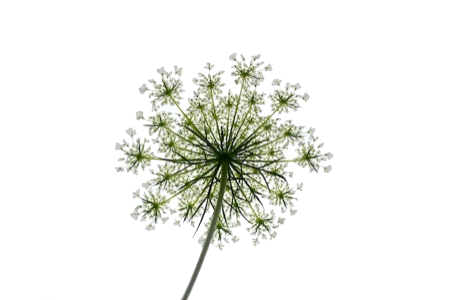 Queen Anne’s Lace begins with a spindly stalk that soon pushes out tiny branches while producing a 3-4 inch flower on the major stem. Left to develop without the interference of mowers the plant becomes a wide bush. If you look at the underside of this flower, you will be amazed at the detailed beauty there. Thirty-plus flowerets form the larger flower. Each of those small flowers has a tiny stem and a small spray of green that protects it. It is so delicately perfect that I wish I could display it as I do the large snowflake appearance of the flower itself. Find the beauty in yourself, too. In words of deep mystery and challenge, St. Paul reminds us of our awesome vocation to which we were called even BEFORE the world was made to reveal the presence of God’s tremendous love by our ordinary, daily lives. We, people, priests, bishops, are all called to be disciples, teachers, healers and sometimes reluctant prophets like Amos in our journey of life. But most of us probably feel we fall short of this invitation to witness to the Good News, and we do fall short often because of all the “baggage” we carry. It’s not always material baggage that holds us back but it can be our power, prestige, pet ideas and theories, stubborn unwillingness to listen to signs of the time, unforgiveness, etc. It is so easy and comfortable to serve our own egos and ambitions rather than the dangerous truths we are asked to teach. It is important for us to daily remember that “it is in Christ and through His blood we are saved, gain our freedom and are forgiven,” and to turn to Him in humility to ask for the grace to let go of the baggage that hinders us. Loving God, we come with hearts of Gratitude to you for creating us out of your Love to be your adopted daughters and sons. We come with thanksgiving for your “divine foolishness” in inviting us to lead others to you by the way we share your love with others. We also come with a keen awareness of our weakness and our selfishness which so often blurs the image of your presence. Trusting in your Goodness and Forgiveness, we dare to ask for the grace both to cherish being created as a gift to the world and to let go of whatever prevents us from your gift. God of all activity, in your wisdom, you’ve given us a very energetic world. Our minds and imaginations are all instruments that enable us to find you in quiet, prayer, and activity. 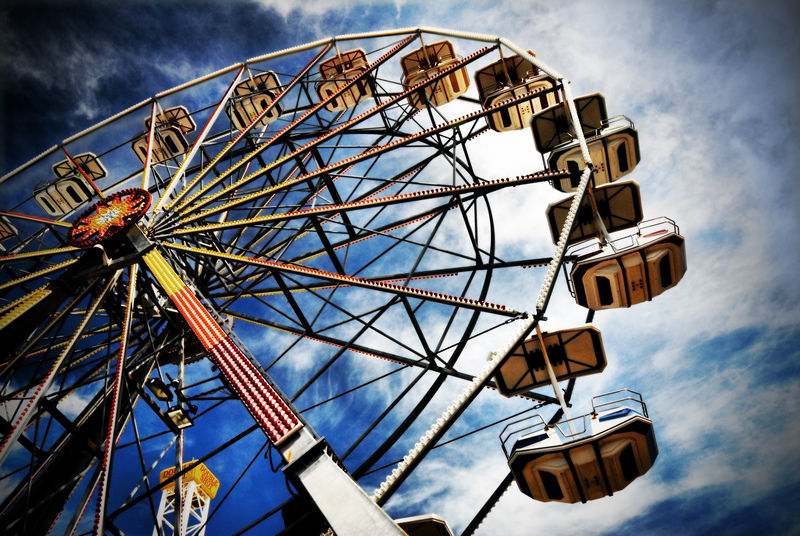 Yes, just now, that gift of imagination took my mind on a ferris wheel ride. I was caught up in all the times we went round and round, and all the seats held people of various ages, cultures, and life styles. I wondered why I was a part of this “gang” going round and round, and what this has to do with the quiet I was trying to experience? Then it hit me, this “gang” symbolizes all who ride the ups and downs of a lifetime, all part of the grand scheme of the adventure we call life. Give me a clearer vision that the activity that calls for justice, peace, and acceptance is within my reach. God of all activity, clue me in to how all the ups and downs can bring substance and harmony to life. Before cable television there was the antenna. Some of us may remember rabbit ears on the TV set that we twisted and adjusted and even added foil to so that we could get a good picture. Then the super antenna came out. This took care of clarifying the picture, adjusting the color and sharpening the words on the screen just by turning a knob on the operating apparatus. Such things are still around, mostly left there after cable was installed. We have one on the roof of the building where I work. Its arms reach out all four ways, searching the best path to pick up the waves that brought us pictures in the several rooms of our building. It was really a marvel, lost now in the advanced technology of cable. It fascinates me still. All those arms kept reaching out to bring in something good to whomever chose to make use of it. The many arms were required to pick up diversified sensations. That is like adjusting what you have to say to your audience. We can talk to children about the beauties of nature mostly by commenting while they are having the experience. For example, Kevin was 1 ½ years old, and in the group of 8 babies entrusted to the care of another woman and me. He was a biter. Let him get a bit frustrated and he would bite the child who bothered him. One morning he and another tot got into a fight. (Can you imagine a fight between two 18 month-old boys?!) I separated them into opposite corners of the room. It happened that I had brought 8 daffodils to work that day. So I put a flower in the hands of each of these two ruffians. It was the first time Kevin and Jake had ever touched a natural flower. Kevin particularly, kept touching the stem, eyes wide with wonder. When he discovered the bloom, I thought he would poke his little fingers into the bowl, or pull the petals off. But no, he petted the petals, with such tenderness, I almost teared. That gave me some insight as to how I might deter him from biting by appealing to his tender side. Jake in the meantime was swinging his daffodil back and forth like a flag at a parade. When we speak of God and the marvelous and diverse ways we find God with us, we might think of the antenna. We tell others in our own way of the marvels God has given, but we must also be sure to speak in the words and manner of the people we address. A daffodil to an adolescent may not reach him as it did Kevin. And a 350 page book may not either. Reach out. Find a way to bring the outrageous generosity and mercy of God to all you encounter. Begin with a glance that from your eyes speaks kindness, to your smile that speaks love, and to your arms that open to all. It matters not if they are sweet or cranky, tender or tough, clean or dirty, young or old. Like the antenna, reach out all ways and always. You will find a path that brings the message in. Hope always finds a way. Loving God, there are times when the discomforts we experience, as we do now with the drought and heat, can be a reminder to us of our dryness in prayer and our relationship with you. The drought we allow in our heart can only be watered by our turning to You, our Creator. We pray, then, that the severe lack of rain and cool air, the relief needed by Earth and all who are suffering will come bringing blessing. 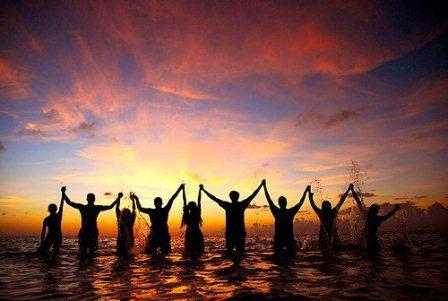 Our prayer is in gratitude for your gifts of coolness and Sister Water. Amen.